The Boston Health Marriage Initiative is a five-year demonstration project funded by the federal Office of Child Support Enforcement (2004-2009). 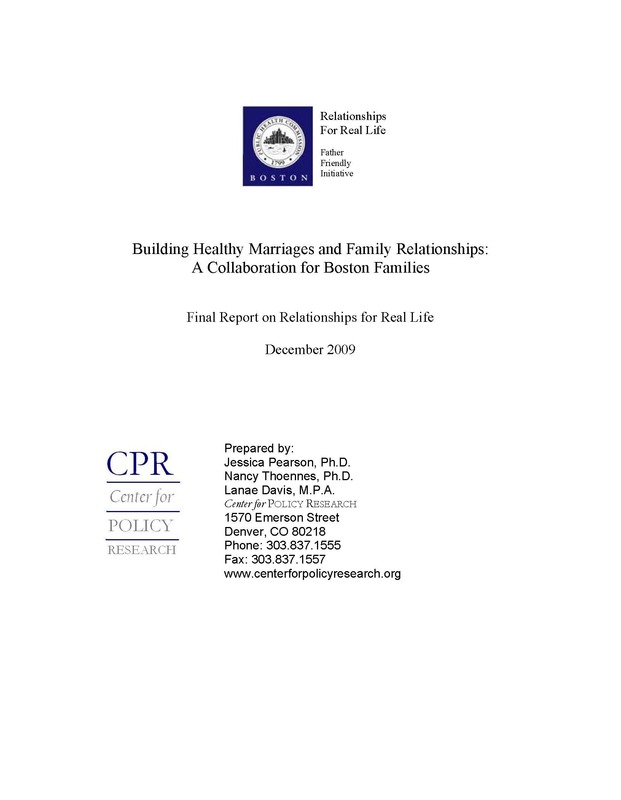 Known as Relationships for Real Life (RRL), the project was conducted by the Father Friendly Initiative (FFI) of the Boston Public Health Commission. RRL consisted of facilitated classes for low-income, single individuals and couples that aimed to improve the quality of their relationships, build support for marriage, and boost paternity establishment and child support payment.